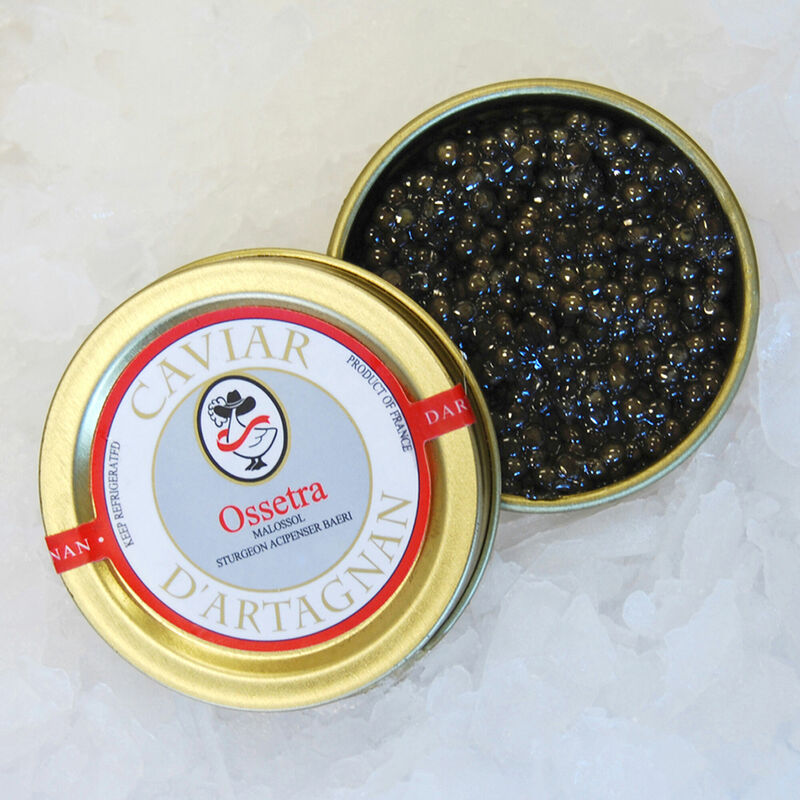 D’Artagnan’s Ossetra Malossol Caviar is low-salt and preservative-free, with an authentic, fresh flavor. This truly sustainable caviar is harvested from Siberian sturgeon on a state-of-the-art aquafarm in France that follows the strictest of animal welfare and environmental protocols. Our Ossetra Malossol Caviar is truly sustainable and humanely-raised on a state-of-the-art aquafarm in the Aquitaine region of France. The farm is an exemplar of environmental practices that are good for the fish and the land, and its wastewater actually runs cleaner than the same water at entry. The Siberian Sturgeon (Acipenser baerii) are raised with the strictest of animal welfare and environmental protocols, and all processing and canning take place on the farm.